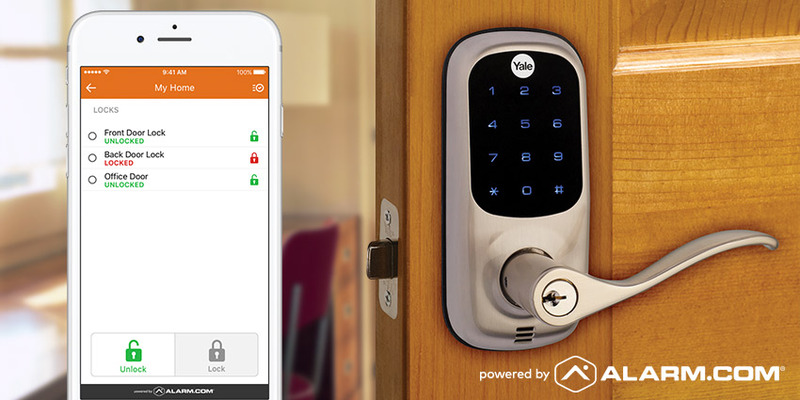 An Alarm.com-powered smart lock gives you many ways to unlock your door, none requiring a key. You can open the lock with your smartphone app, or as part of an automated Scene, activated from your driveway. You can also use the lock's keypad, which requires a four-digit user code. User codes also help you keep track of who's opening your front door. When someone uses their code, Alarm.com logs the event and can also generate a real-time alert that appears on your phone. 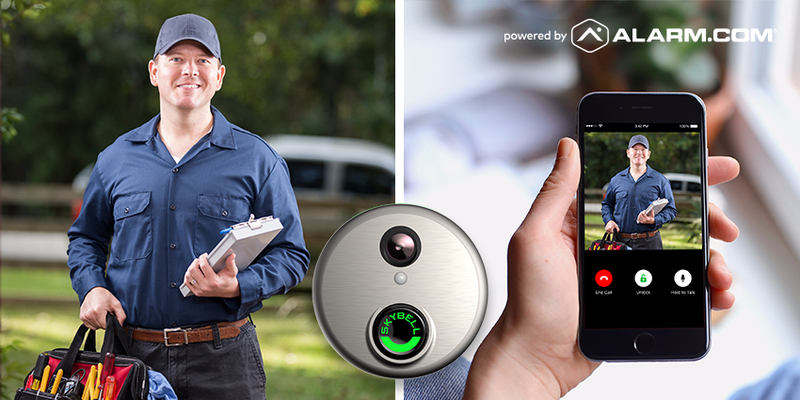 If you want to really see who's coming and going, your service provider can install a video doorbell alongside your smart lock. 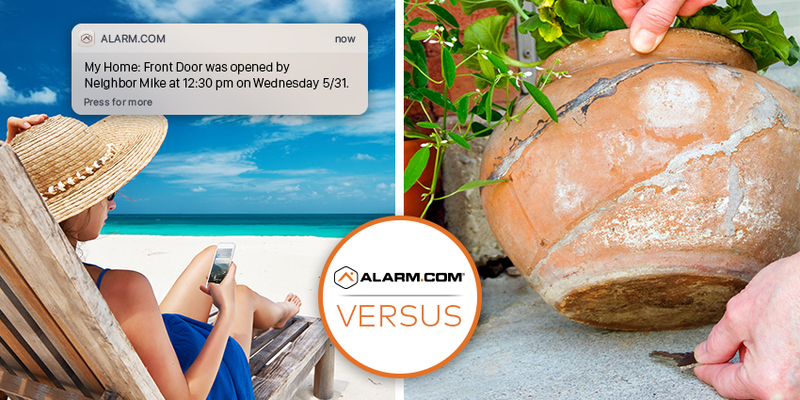 With motion-triggered recording, Alarm.com's doorbell camera can generate a video alert when the door is opened, or when a specific user enters their code.